Honestly it seems like we were just sweating buckets at Irish Fest and hoping for a cool breeze off the lake. And I’m suddenly worried about a winter layer under a Halloween costume. How did this HAPPEN? Well, no fighting it. I love Fall so I’m not about to complain about seasonal festivities. But how does your DOG feel about all of this? Well they’re probably not nearly as excited as you are about trying on their new costume for this year. But let’s be honest, do you care? No, because you appreciate how ridiculously adorable they are in the latest outfits for “Howl-o-ween.” You simply can’t resist the roundup for this year. I wish for the day that common sense becomes truly, well, common. But until that actually occurs, I will continue to post “public service reminders.” You know, like the kind that will tell you to not put your head in the oven along with your pizza, or not to hold your ignited candle lighter next to your 12 cans of spray paint. So, pet parents in case you didn’t know about these things, I will now warn you against them. Happy Halloween to all our pet-loving and pet-owning friends! And please feel free to post on Facebook or in our comments section about your favorite part of Pet Halloween and your best doggy photo! Dog Lovers Aren’t Happy With The New York Times. And more. Dog surrendered with heartbreaking note before owner’s suicide Now Has New Loving Home. Therapy dogs can spread superbugs to kids, hospital finds. Tennessee woman warns pet owners of dangerous ingredient in chewing gum after dog dies. Pre-existing conditions are a thing in Pet Insurance too. Nearly 1 In 5 pet parents say their dog is Overweight. ‘Crotch Sniffin’ Ale’? These breweries are serving up beer for your dog. 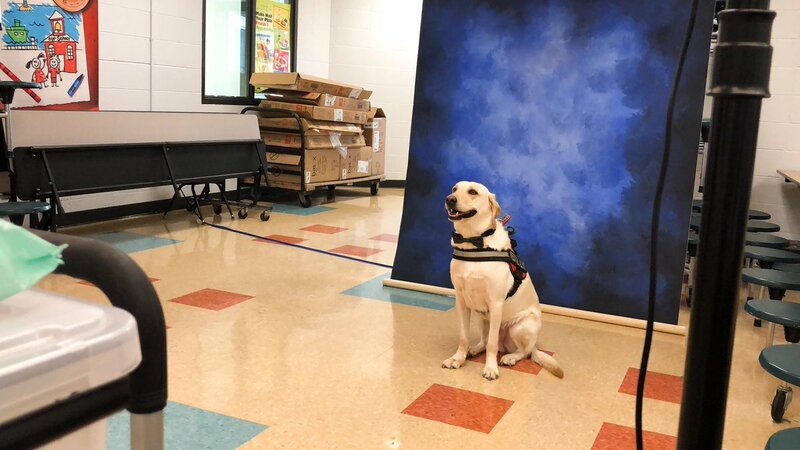 School photographer Jill Engel posted a yearbook photo taken at M.J. Kaufman Elementary in Lake Charles, Louisiana featuring Rowdy, a service dog. 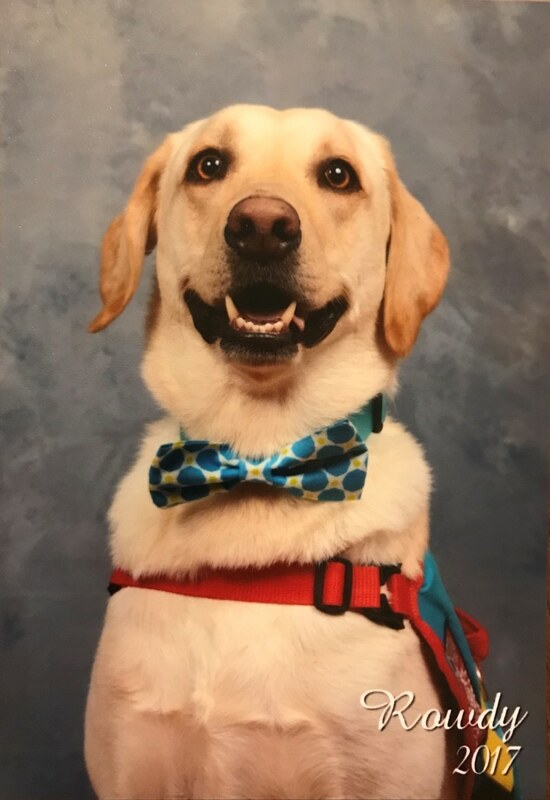 Rowdy serves as a diabetic alert dog for 10-year-old Daegan Welch, whom Rowdy accompanies to school every day. Rowdy is trained to alert the young student when her blood sugar spikes or dips too low. These ‘Canine Ambassadors’ Are About to Make Your Vacation Adorable.